Licensed in 2002, Jim quickly became a leading Realtor in the Golden area and in 2007 founded Golden Real Estate. Perhaps you have seen his "Real Estate Today" column which appears every Thursday in the Denver Post and four weekly newspapers. It is also posted on his blog. 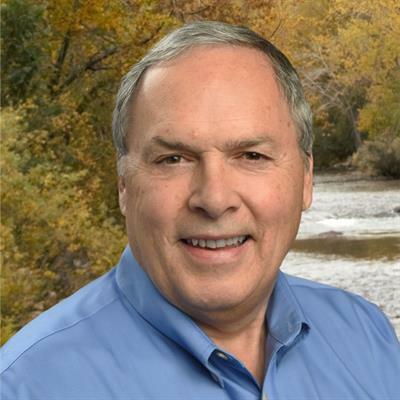 Jim serves on the Rules & Regulations Committee of REcolorado and is on the board of directors of the Golden Chamber of Commerce. He is also a member of the Golden Lions Club and the Rotary Club of Golden. He and Golden Real Estate are known for their sustainable practices with solar-powered home, office and cars. (He owns 2 Teslas and a Chevy Volt, which are used by agents for showing properties and other purposes.) There are four electric vehicle charging stations in the company parking lot, which are free to the public, and the company accepts Styrofoam (polystyrene) for recycling, keeping over 200 cubic yards of the stuff from our landfills.